What is better than a free Bible? We just added .mobi format Bibles for Amazon Kindle devices and apps to our list of electronic formats that we produce, at least for the languages that Kindle supports. 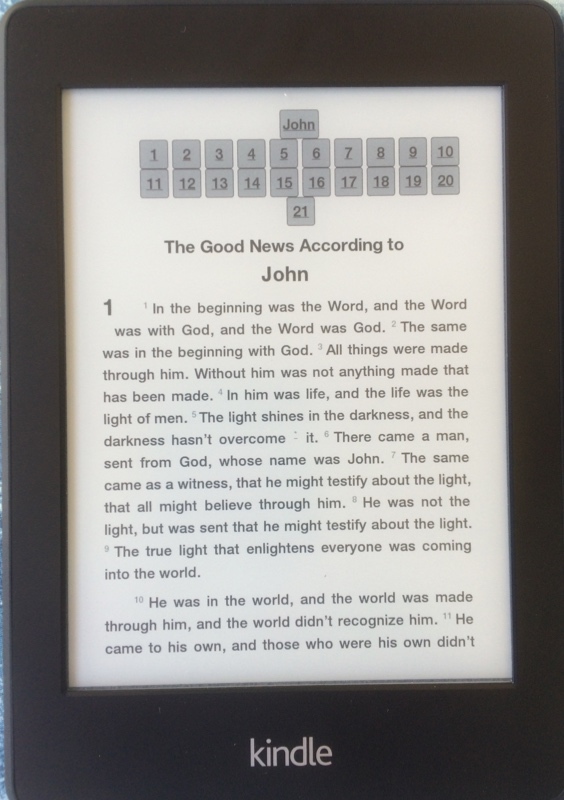 Between .mobi and .epub formats, we can put Bibles on almost all tablet computers, dedicated e-readers, and smart phones. Q: What is better than a free Bible? A: Having your own free Bible that you can give away as many times as you like without losing your own copy. This means that Bibles can spread between compatible devices like flames in a candle light service. Q: Sounds wonderful, but does such a Bible exist? A: Yes: digital Bibles that don't have legal and technological barriers to copying are like that. As of today, with your help and the help of assorted Bible translation agencies and Bible translators, I have posted 675 Bible translations like that. Q: But can everyone get a digital Bible? A: No. Just the people who have access to a smart phone, tablet, dedicated e-reader, or computer and access to either a web site, media, or other device with the Bible on it. Do you know anyone who is not on that list? Q: Aren't all Bibles freely sharable? A: Unfortunately not. Look at the fine print inside the front of a modern English paper Bible and see if you can find limits on number of verses that can be quoted in other works, etc. The same sorts of notices accompany most digital publications, even when they are available on a public web site. The World English Bible is one of the few exceptions. Q: How do I get a free Digital Bible to read myself and to share? A: Just go to http://eBible.org/epub/ and download the translations you like in the format you prefer (epub for Nook, iBooks, Gitden Reader for Kindle or iOS, etc., or .mobi for Kindle). (Please forgive the temporary, crude index. A better one is under construction.) For the World English Bible, get http://eBible.org/epub/eng-web.epub. If you got one last month, you might want an updated copy. We have improved the formatting and compatibility of all of those files in the last month. 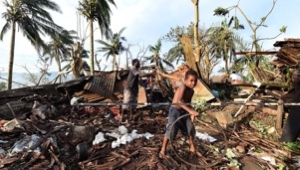 Please pray for our brothers and sisters in Christ in Vanuatu as they recover from the devastation caused by Hurricane Pam. The latest news we have from Vanuatu is that our friends there are safe, but there was considerable property damage. May God grant that aid efforts will be effective and that clean water, food, housing, and communications will be fully restored. 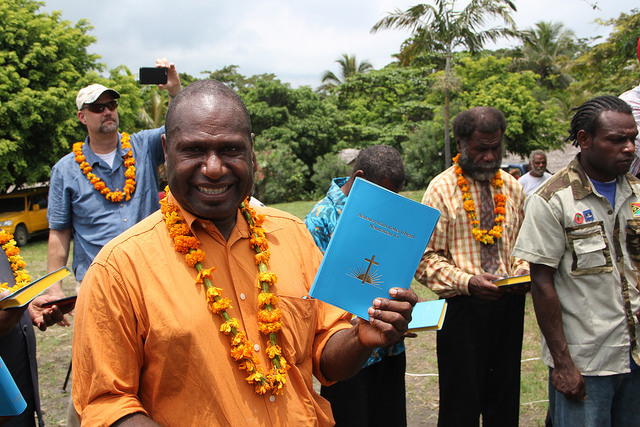 Please pray that the people of Vanuatu will keep seeking God and reading His Word, both in print, and as the infrastructure is rebuilt, in digital formats. 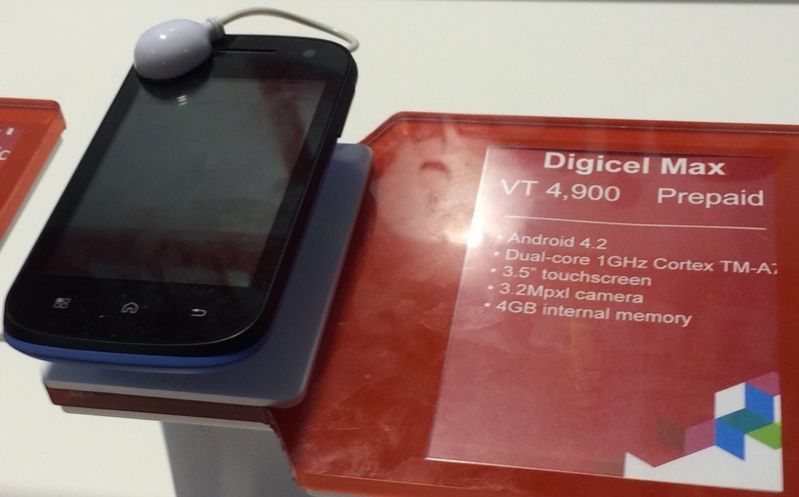 I saw this $49 Android 4.2 smart phone for sale in Vanuatu, with no phone contract required. I also saw several smart phones in use. I like it when the prices of devices capable of hosting Bibles come down. Thank you for praying for us and supporting us financially and as God leads you, and being a part of the team getting the Word of God to people in the languages and formats that best serve them. Can you guess what one of Rachel's favorite movies is? This picture is from Legoland during our family reunion trip in January. Note: you can automate your donations at mpj.cx/give or through your financial institution's bill pay service.